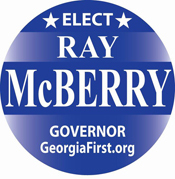 The Campaign of Ray McBerry for Governor 2010 is leading the way in the State Sovereignty movement by offering 8 different pieces of legislation in the Georgia General Assembly. All eight bills already have sponsorship and are NOT merely resolutions; all eight address specific unconstitutional federal intrusions and provide specific remedies for each. This legislative agenda will be THE model States' Rights legislation across America in the coming months and is already gaining local, state, and national attention. This States' Rights legislative agenda shows why Ray McBerry is clearly the ONLY constitutionalist and States' Rights candidate in the race for Georgia's next Governor. While other gubernatorial candidates are putting out press releases and conducting online polls for the purpose of garnering email addresses for their political campaigns, Team McBerry is already putting forth REAL State Sovereignty legislation, even before taking office. Read the legislation and our message below; and find out why Ray is glad to be the "point man" in Georgia's State Sovereignty movement! States' Rights: 2010 GOP Candidate For Governor Ray McBerry explains: How do we accomplish States’ Rights? States' Rights Legislation: Read the actual legislation that will help restore the full sovereignty of the State of Georgia. Please note: this is an ongoing section. 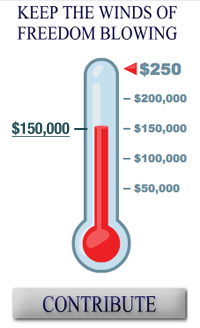 Please check back often as new documents will be added on a regular bases.